triproberts12 on Is my Exava Deck decent? In all honesty, it's not great. But that's okay! 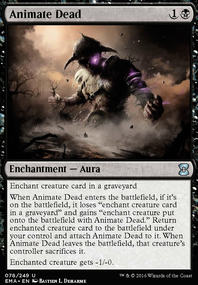 The important thing is that you clearly understand how an EDH deck is supposed to work. The right number of lands, mana rocks, interaction, and card advantage are all there. Little things like upgrading Ambition's Cost to Syphon Mind and are pretty easy. 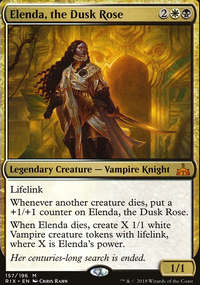 What I recommend you do is check out the EDHREC page for Exava. It looks like you're running a pretty budget build, so you might want to toggle to the budget tab at the top right, as well. I also advise you to check out the page for Rakdos staples in general, as well as this Scryfall search for all cards in your colors that reference +1/+1 counters, ranked by EDHREC popularity. 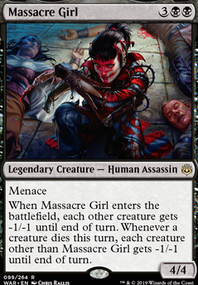 The other thing you might want to consider is going with Marchesa, the Black Rose , instead, if you're not particularly set on your commander. 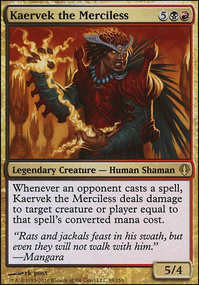 Part of the reason Exava has so few decks is Marchesa just does counters better than any other non-green commander. You can find her EDHREC page here. 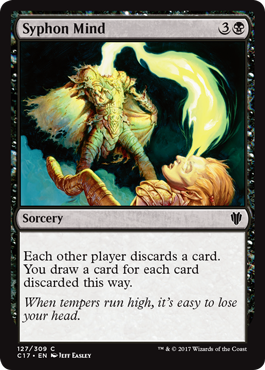 Have you thought about Syphon Mind , it's plus 3 to Haunt as well as card advantage and minor disruption for you opponent. Wow, thanks for that detailed answer, triproberts12! I already bought the deck meanwhile (just could not resist xD) but since I own a Phyrexian Tower from Ultimate Masters and run it in my Kokusho deck I replaced a swamp with it (just didn't think about it when I made the decklist and remembered it some days ago), I also replaced the Ashnod's Altar with Phyrexian Altar at the same time because they have the same mana cost and it gives me black mana. I would love to add No Mercy (also to my Kokusho deck and simply ever black deck I own) but I am not at the moment out of money reasons. 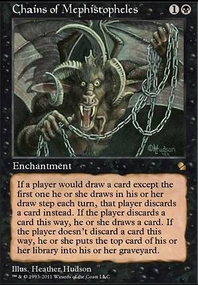 My Intention with Maddening Imp is to destroy creatures I don't want to see against me with summoning sicknes right away (unlike Nettling Imp Maddening Imp affects them as well). Maybe it will be a bit clunky and I'll replace him but I will have to see how it does in play. Cover of Darkness seems pretty nice, I really will concider it! Although the Whispersilk Cloak was mainly to be able to hit with Master of Cruelties but maybe I will replace those again if I don't see it working. Shizo, Death's Storehouse looks very nice as well (my playgroup is running a lot of black though) but if it's not too expensive I might add on my next purchase. Especially because it is so much better than Rogue's Passage as you say. I don't know if Koskun Falls would be so great since I don't run that many creatures. The Haunt of Hightower I added mostly because I got it for free and it fits in a little. Maybe you're right about Words of Waste but I will have to see how it does when beeing played. I still have a couple of ideas on the maybeboard from my earlier versions of the deck. For example Sire Of Insanity would be great but I'm still a little bit too afraid really count it in. Thanks again for the great answer, I really appreciate it, because I rarely get answers on my decks! i fill like its too expensive for the mana cost, and already got more than enough life drain, maybe changing some of the cards like Syphon Mind or Psychotic Episode for another thing. don't know what tho, ty for the suggestion anyway i will keep it in mind.